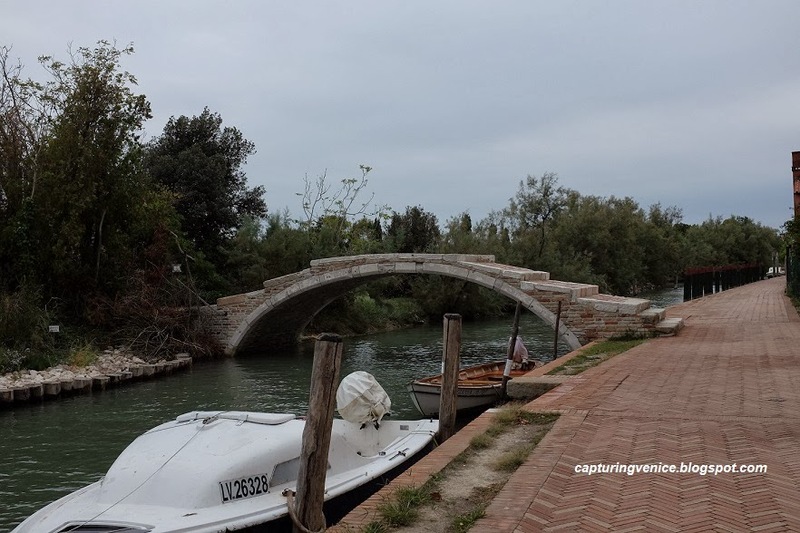 I'll always remember my surprise when I first encountered the famous bridge without railings in Venice - Ponte Chiodo in Cannareggio. It's a private bridge that leads to a residence, and for some reason, it's never occurred to me to actually walk across it or take a photograph of it. It has occurred to me to draw it though. 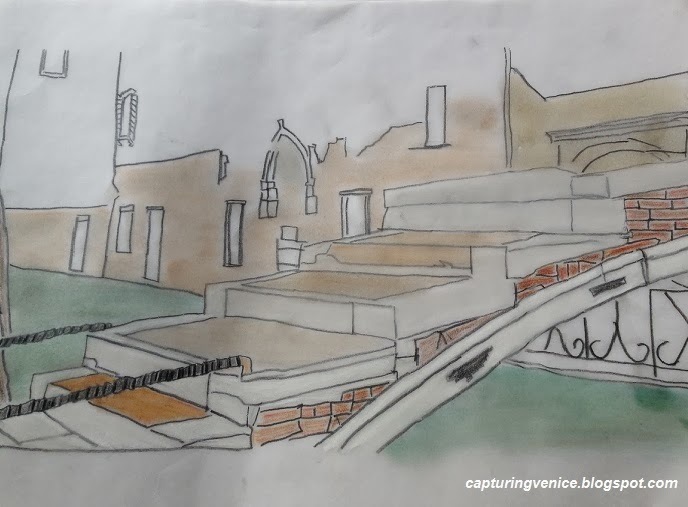 As you can see, I'm certainly not an artist, but I love art, and I yearn to be skillful at visually rendering the beauty and uniqueness of Venice.